Drilling for water requires can often require an arsenal of drilling methods and equipment. Having rigs that are able to change methods on the fly can save time and cost. ABC is committed to providing versatility at the job site so we are prepared for changing soil and groundwater conditions. Drilling for water requires can often require an arsenal of drilling methods and equipment. Having rigs that are able to change methods on the fly can save time and cost. ABC is committed to providing versatility at the job site so we are prepared for changing soil and groundwater conditions. 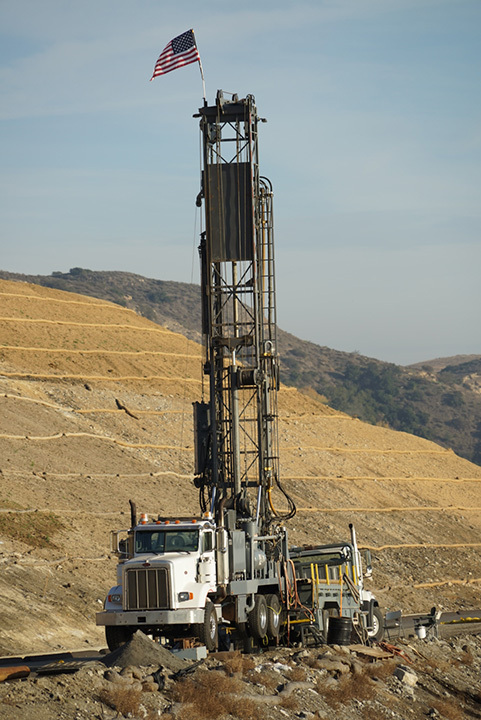 Our modern equipment is designed to adapt quickly to varying geology to achieve favorable results. Specialized zone testing help insure optimal well construction and state of the art well development equipment assist in attaining maximum water flow once the well is installed. When it comes to drilling water wells technique is key to tapping into the right aquifer. Having the capability of performing exploratory drilling and aquifer tests prior to well installation can provide valuable information. Drilling conditions are often unpredictable and sometimes drilling through multiple aquifers to get to the right one can be challenging. This often means changing techniques and methods as the geology can also differ with depth. The ability to adapt seamlessly with one rig can help keep your project on time and under budget. “Just wanted to let you know your crew did a great job on Tuesday, it’s always a pleasure working with you guys!"